The Joystick Shield kit contains all the parts you need to enable your Arduino with a joystick! The shield sits on top of your Arduino and turns it into a simple controller. 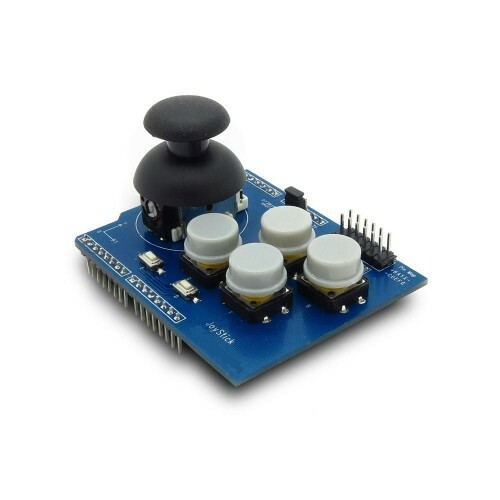 Five momentary push buttons (4+ joystick select button) and a two-axis thumb joystick give your Arduino functionality on the level of old Nintendo controllers.